How Much Does Costa Rica Travel Cost? 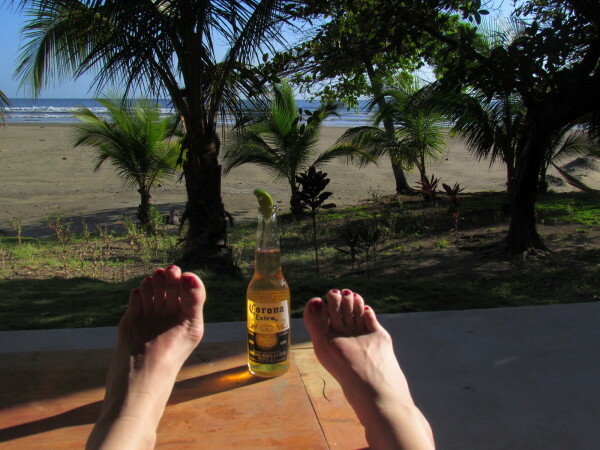 A week of vacation in Costa Rica costs between $750 and $1,250 for an average traveler in mid-priced hotels, lodges or rental houses and doing standard tours (assuming double occupancy). Beachfront accommodations and high dollar activities like deep sea fishing will quickly push the budget over $2,500. 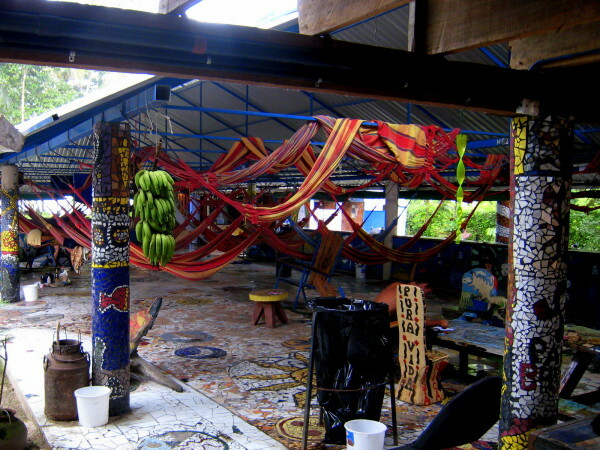 On the other end of the spectrum, backpackers can spend as little as $250 a week for a dorm room and plate of beans. The descriptions below give a good general idea of how much it will cost to travel in Costa Rica in 2017/2018. 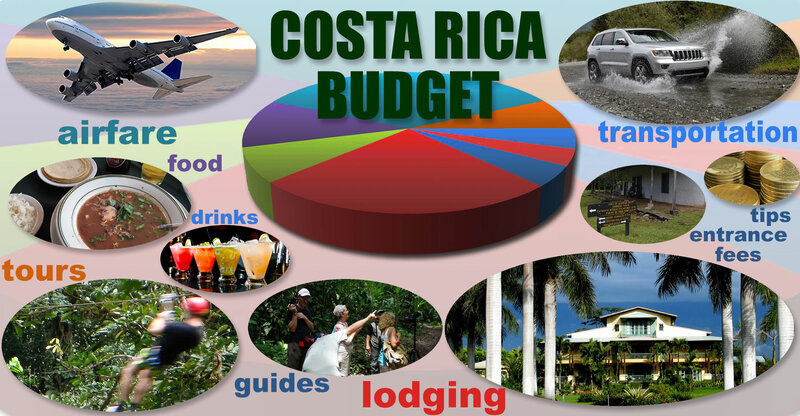 The average per day costs include food, lodging, activities and transportation within Costa Rica. The costs per person per day or per week do NOT include airfare (see why) and do NOT include alcohol or other incidentals. How much does it cost to travel in Costa Rica? These are average prices and you can probably expect to spend about 5-10% less in low season (May-Nov), 5-10% more in high season (Dec-April) and up to 50% more for the peak travel times around Christmas, Easter and New Years. This price range requires public buses, dormitories or hostels and grocery stores or fast food. Reservations are not accepted at most accommodations in this price range and public transportation in Costa Rica is first come first served (no online reservation systems). Flexibility while traveling is key to saving money. If you plan to stay pretty much in one place, just want a dorm bed each night ($10-18), a couple of plates of rice and beans ($3-5) each day and can entertain yourself by walking along the beach you can probably get by for around $20 to $40 a day. $220 – $420 per person ground costs for 8 to 10 days after adding minimal transportation from airport to beach. Add miraculously low airfare at $250-$350 round trip (requires extremely flexible dates and a lot of luck) and you may be able to visit for under $500 per person plus incidentals. I traveled the continent in the era of Arthur Frommer’s Europe on $5 a day but the same trip would be closer to $80-$100 per person per day now. Backpackers do a bit better in Costa Rica but five bucks won’t get you through the first couple of hours of an average day. If you’d like to try a canopy tour ($70), rent a surf board ($15), take a hike through a National Park ($7-$25 entrance + $25 to $40 pp for a guide), add a couple of beers ($2-$4) with your evening meal ($8-$15 to step up from rice and beans) and hop on the public bus ($4-16) to check out a few different areas you should double your budget to at least $50 per person per day. There’s nearly always an unexpected expensive day when the cheapest hostel is full so you have to step up or the bus schedule was wrong so you have to blow $40 on a taxi. $400 to $590 per person for 7 days…$600 to $850 for 10 days plus super cheap airfare $450-$550 (usually requires flexible dates and some luck) for a total trip cost that could be under $1,000 per person plus incidentals. The economical price range introduces some latitude and allows choices of transportation and lodging. Many hotels and lodges in this price range accept reservations and you may be able to find some VRBO or other rental houses or condos that are affordable if you have 3-4 people in your group. Estimates below assume at least double occupancy so if you’re a solo traveler adjust accordingly. Move up to a private room and a hot water shower ($50-$150 double), a guide with a spotting scope to point out the birds while you’re hiking in the National Park ($25 to $40 pp), a couple of days with a 4×4 rental ($45-$80 per day depending on location, duration time of year and insurance options) to check out an off the beaten path destination and a white water rafting trip ($60-$100) and you’ve about doubled the money again. $630 to $1,050 ground costs per person for 7 days plus airfare. If you have very flexible dates or plan at least 6 months in advance you may be able to find airfare as low as $450 per person but a more reasonable estimate is probably $600-$700. Total trip cost of $1,100 to $1,700 per person plus incidentals assuming double occupancy. Increased convenience, reliability, and efficiency are all included in the higher price ranges. Advance reservations are recommended unless you’re traveling in the off season. Even if you love planning and want to make all of your own reservations and arrangements it’s worth talking to someone who knows the country and can help you avoid mistakes like signing up for a week at an All Inclusive resort six hours away from the cloud forest you want to see. A budget of around $200 per person per day buys you a great vacation in Costa Rica with superior lodging ($125-$275) in unique settings, comfortable transportation (either chauffeured or rental SUV) and enough tours and activities to discover the best of Costa Rica and get back to the lodge happily exhausted each night. $1,200 to $1,600 per person ground costs for 7 days plus airfare and incidentals. Getting a reasonably good deal on airfare (less than $750 per person) will push to the grand total to $1,900 to $2,500 per person double occupancy for a superior class Costa Rica vacation. Double your budget one more time and you’ve bought yourself luxurious surroundings and pampering, a day of deep sea fishing or scuba diving to add to your activities and a domestic flight to give you an extra day on the beach instead of in the car. Of course if you want a fishing charter and 18 holes of golf with a caddie every day you can push the budget even higher. $1,925 to $5,000 ground costs per person for 7 days plus airfare. Alcohol and a few other things we haven’t included because they’re unpredictable or optional. Souvenirs and shopping. Even t-shirts can run $25 so if you have children, grand kids, nieces and nephews it can add up fast. Alcohol. The upper price ranges above include a beer or glass of wine with a meal, but if you’re going to spend an entire afternoon sipping $16 Piña Coladas under a palm tree or order $200 bottles of wine then increase your budget accordingly. Cell phone. If you can live without it you can save a lot. Otherwise there are international calling plans that range from free to $10 per phone per day. Rental Car Insurance and damage waivers. We always use the insurance included with our credit card because for us it gives the best possible coverage and it’s free. If you decide your best option is the insurance and/or waiver offered by the rental agency it can add between $25 and $95 a day. Excess banking fees. Using airport ATMs and paying international transaction fees could add up to 10% to your total cost so we recommend avoiding them with these tips. Travel Insurance or Emergencies. Travel insurance can run from 5% to 15% of the total trip cost depending on how much you want covered and how liberal the payout policies are. An emergency room visit and a last minute ticket home because of a broken leg could cost thousands. Splurges. If you decide to take a helicopter ride along the coast or upgrade to a beachfront suite you could spend an extra few hundred bucks in a few minutes. Mistakes. Mistakes can be very costly so give our list a quick read and avoid the most common ones. Families with small children will find some savings available especially if everyone piles into the same room. We’ve written a separate article on family budgets for Costa Rica vacations that will help provide an accurate estimate. The categories above should give you a pretty good idea of what you can expect to get based on how much you have to spend but we’ve also looked at figuring a budget. Use the average cost of lodging, transportation, tours & activities, add in food & drink costs then see our suggestions on how to get the cheapest airline tickets to come up with a total cost of travel for your family or group. One of the most variable numbers in your budget will be the cost of international airfare to get there (see tips on saving). We consider anything between $500 and $600 round trip pretty reasonable from the U.S. and that’s what we used for the total trip costs for seven or ten days shown above. Most direct flights from the U.S. to Costa Rica originate in Miami, Atlanta, Houston, Los Angeles or Denver. We’ve seen round trip tickets priced from $250 to $850 from these gateway cities to the main airport in San José Costa Rica (SJO) for 2016. Flying into the other international airport outside Liberia (LIR) near the northwest beaches of Guanacaste is typically $100-$200 more expensive round trip. If you’re not flying from one of the cities with direct service you’ll pay an additional $100-$200 for the first leg of your flight so anything under $500 round trip to SJO and anything under $600 round trip to LIR from cities like New York or Chicago is a great deal. Because it’s so easy for individuals to find their own airfare bargains, travel packages almost never include airfare. Most custom agency planned vacations start when you’re met by a driver at the airport in Costa Rica and end when you’re dropped off for your departing flight. If you don’t have a favorite flight searcher (or even if you do) we recommend kayak.com for quick comprehensive searches of dozens of airlines lowest fares with flexible dates.